“Science communication plays an essential role in encouraging innovation and creativity both within and outside of scientific and technical sectors in Canada. 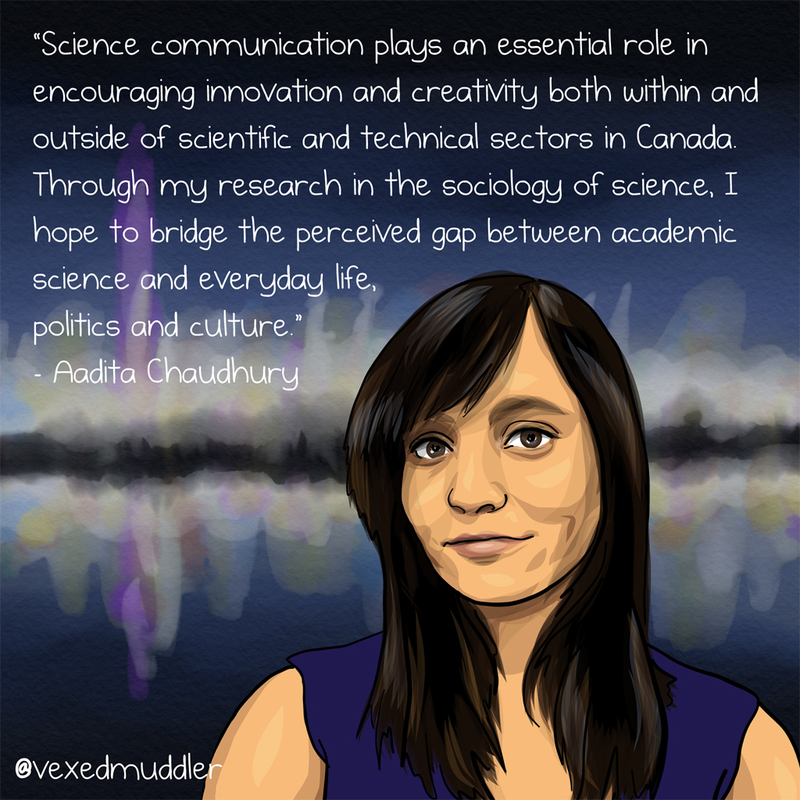 Through my research in the sociology of science, I hope to bridge the perceived gap between academic science and everyday life, politics and culture.” – Aadita Chaudhury, researcher in Science & Technology at York University. Originally posted on September 26, 2016.